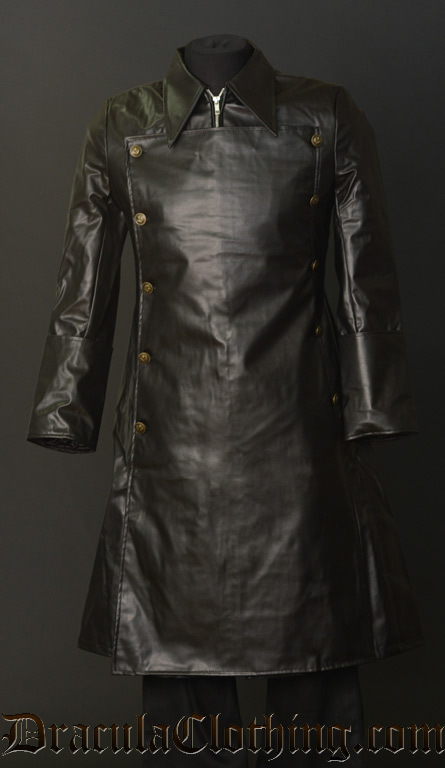 This coat is designed inspired by a real Japanese soldier coat, combined with a faux leather fabric. The front panel opens and can be buttoned up, the inside of the coat is red. Underneath the panel there is a zipper to zip up the coat. 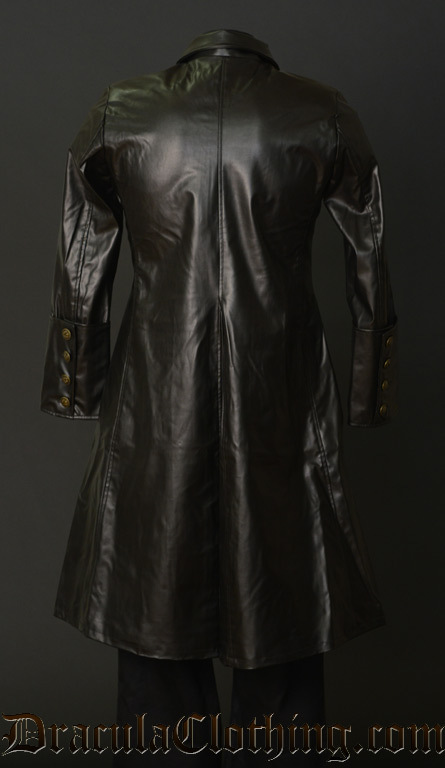 A great coat to wear during the fall or in sightly cold weather. A great coat to wear during the fall or in sightly cold weather. We ship this product from Prague the first working day after you order it. The total shipping time is normally about one week, but it depends on the postal system. These are the clothing measurements and not body measurements, please measure yourself carefully before you order.